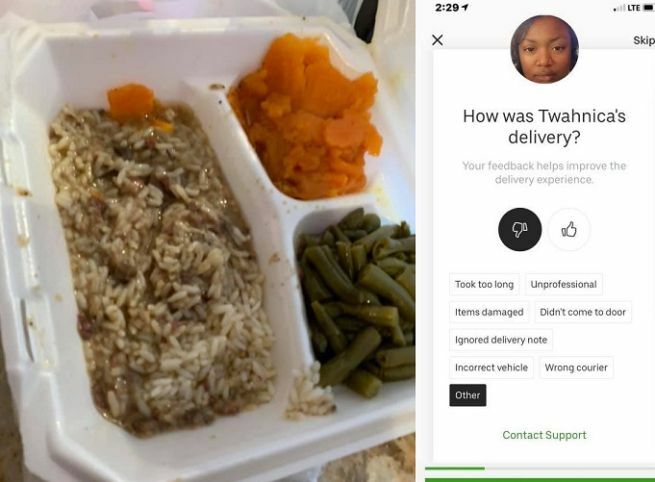 I ordered #UberEats from the same restaurant that I’ve ordered from before and this time the new delivery driver ate my food… NEVER AGAIN. I called the restaurant and texted them this picture, the lady at the restaurant that made my food said, “the driver ate all of your meat and some of your yams too.” 😳😳😳 MY TRUST IS GONE FOREVER!!! #Twahnica you should be ashamed of yourself. I would have given you the entire order if you told me you were hungry. Don’t do this to people. Next Article GUY CLAIMS HE GOT NEW NOTES WITH SAME SERIAL NUMBER. BUT….